This will absolutely make your day! 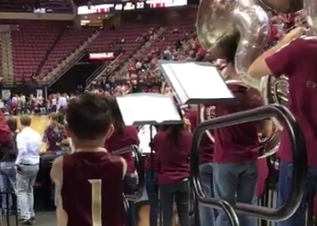 This future marcher and pep band member at Florida Stat joined in on the fun at the basketball game last night and absolutely stole the show. Forget the game we just want more of him rocking the pep band horn movements. Share so all fans can enjoy this special moment. Please let my future band children be half as cute as this!